We adhere to cuetomer-centric, take honest as fundamental. · - Stock parts direct replacement. · - 100% test before shipment. · - The key parts including chip from top supplier. · - Mounting style: Threaded-in. · - Accept urgent order. Remove the throttle body. Refer to Fuel System for instructions. 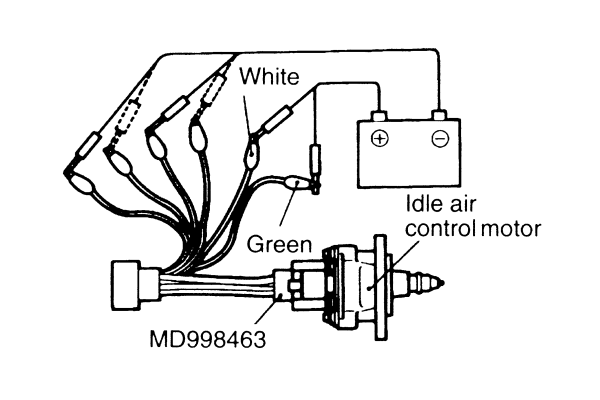 Fasten the test harness to the idle air control motor harness connector. Connect the positive (+) terminal of a power source (approximately 6 V) to the white or the green clip. 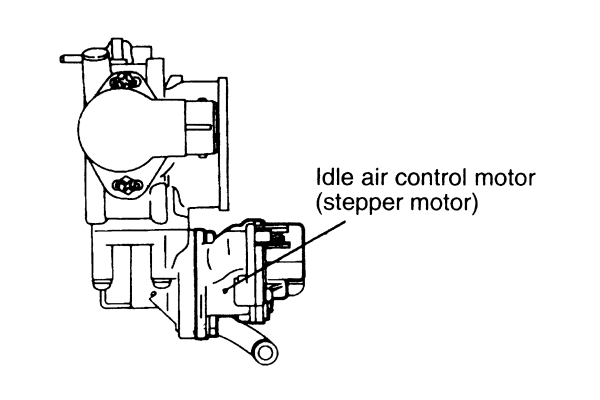 While holding the idle air control motor as shown in the illustration, connect a negative (-) power source terminal to each clip in the following sequence, and check whether there is vibration of the stepper motor as a result of activation of the stepper motor. Connect the negative (-) power source terminal to the red and black clips. Connect the negative (-) power source terminal to the blue and black clips. Connect the negative (-) power source terminal to the blue and yellow clips. Connect the negative (-) power source terminal to the red and yellow clips. Repeat the test in the reverse (e through a) sequence. 6. If vibration is felt as a result of this test, the stepper motor can be considered to be normal. To remove the idle air control motor, the throttle body must first be removed from the intake manifold plenum. Once the throttle body has been removed, the stepper motor unbolts from the it. 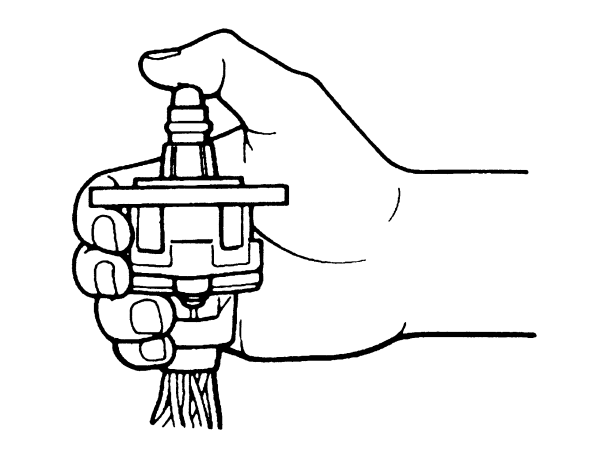 Label any hoses or cables removed and save the bolts and nuts for re-installation. Attach the new stepper motor to the throttle body. Tighten to 8-10 ft. lbs. (12-14 Nm). Install any parts removed for access to the throttle body. 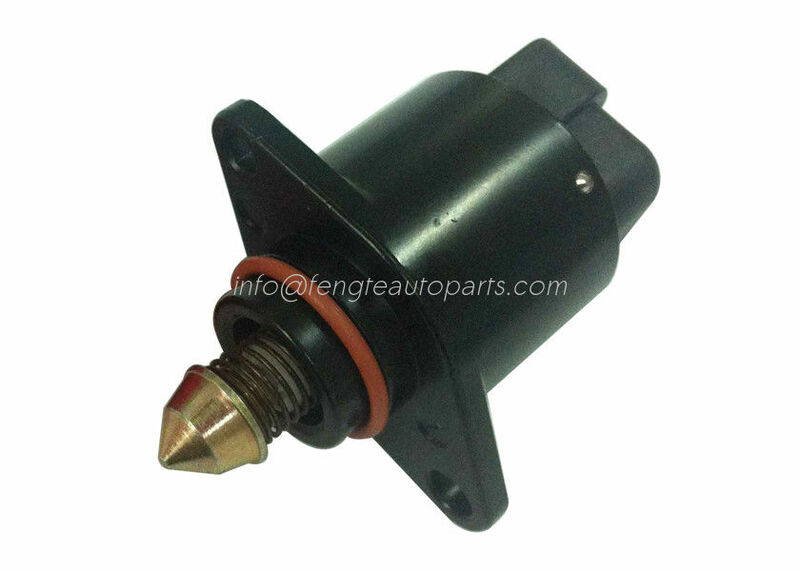 Ruian Fengte Auto & Motormobile Parts Co.,LTD. Address: Baosi Industry District, Tangxia Town, Ruian 325204, Zhejiang, China. Baosi Industry District, Tangxia Twon, Ruian 325200, Zhejiang, China.